Summer is almost upon us, and it’s important to seize the opportunity to appreciate all the natural world around us has to offer. As huge proponents of naturally derived products, we value nothing higher than the beauty provided by nature. What’s most amazing about nature is that its beauty often serves a purpose beyond simple admiration. Some of the most beautifully aromatic and flavorful herbs are wonderfully beneficial for physical and mental wellness. Here are some tips about how best to use The Root of It All™ naturally derived summer essentials to enhance your experience this year. 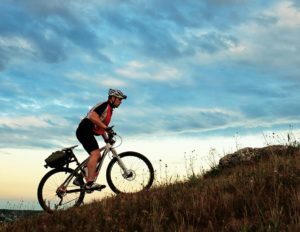 Summer is a time for hikes and bikes. It’s a time to get out of the house, and out of your comfort zone. That takes energy, and we’ve got you covered. Our sublingual oil GO can lift you throughout the day. GO’s energizing scent is the first thing you’ll notice when you twist off the bottle cap. Rosemary, Cardamom and Ginger work in tandem with 90mg of THC to bring about a clearheaded purposefulness from the first whiff. Each ayurvedic herb in this blend act as digestive aids, which helps keep your body loose and limber and ready to take on the day, and the pure THC oil leaves you feeling composed and ready to take on any challenge. 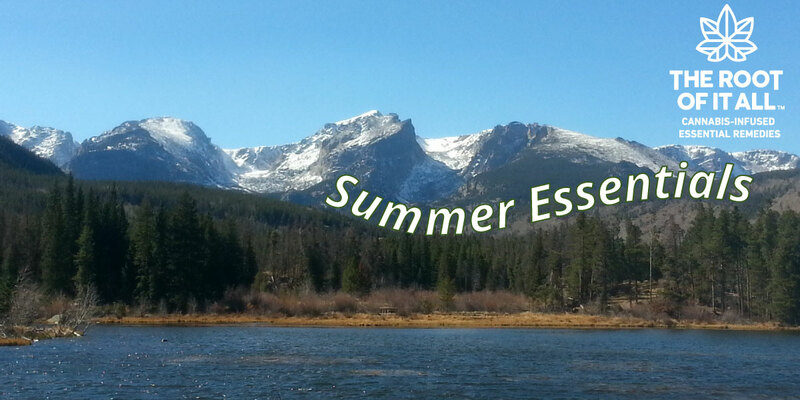 For a long hike up to McHenry’s Peak or a quick walk through Denver’s Botanical Gardens, GO is a must have if you want to naturally enhance an active summer. An active summer can leave you sore, and that’s a good thing. But sometimes you want to get back and at it just as hard the next day. This is where our Essential Ointment REWIND comes into play. REWIND’s soothing warmth can only be challenged by the summer sun itself. Black Pepper, Turmeric and Clove work with 135mg of CBD and 45mg of THC for fast, localized relief that smells like heaven. When your muscles ache after a long climb, this natural herbal blend penetrates deep to bring you back to your feet. Summer won’t wait up for you, so it’s best if you’re ready to take it on each day. REWIND is a natural way to be prepared for each new day. Life is about the journey, but sometimes there’s a destination that’s just too beautiful to pass up. When you find yourself on the banks of a placid lake or staring at a beautiful open meadow it’s time to take it SLOW and appreciate the work of nature. SLOW can bring you a sense of calm that puts you in tune with the beauty you see all around you. A cooling combination of Basil, Orange and Fennel essential oils join 90mg of THC and CBD to help you find the clarity of mind to truly appreciate the wonders of mother nature. Beauty is in the eye of the beholder. You know it when you see it. And when you finally come across it, it’s best to take the time to enjoy it. With you nose in a book or your eyes to the sky, SLOW can help you take time to remember those special moments this summer. Frankly, a fulfilling summer day should make you feel exhausted. But you can’t wear yourself too thin. A good night’s rest is essential to having a fulfilling summer. Our STOP blend is specifically aimed at lulling you into a deeply rejuvenating slumber. A summer day can be intensely stimulating, so sometimes it can be difficult to turn off at the end of the day. Our STOP blend puts the classic soothing herbs Lavender, Chamomile and Valerian Root together with 90mg of THC and 30mg of CBD to naturally aid your body in finding healthy and continuous sleep. The end of a good day is the start of another, and STOP is the key to both. Make summer nights work for you, so that you can fully enjoy whatever tomorrow brings. We design our products to work naturally for you. Our commitment to respecting nature’s wonderful beauty and power is infused into every bottle. This summer, we encourage you to get out into nature and take The Root of It All™ naturally derived summer essentials along with you.